We sell our campervan with all the equipement to travel and live in it ! We have driven almost 10 000 kms in New Zealand in the last 6 months without any problems. We bought it from a Kiwi family, we were the first travellers. 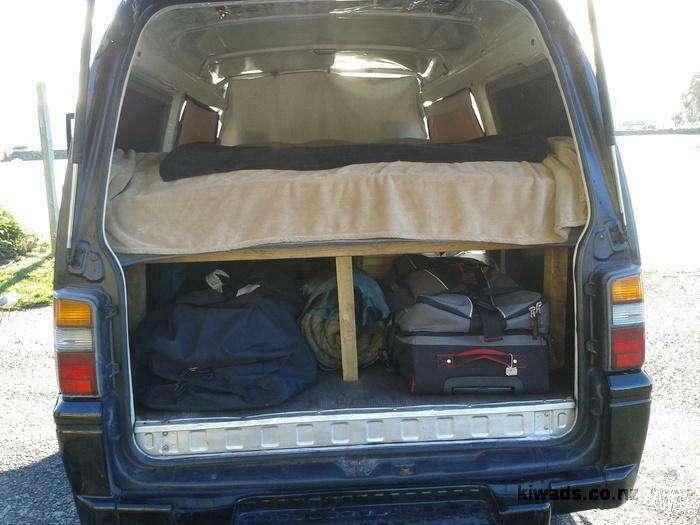 The main benefit of the van is the confortable king size matress at the back. There is also a lot of storage room under the matress which enable you to put all your staff. There are very thick curtains on all the windows. The van has been very well cared for and with its black color it is very discrete. We are in Dunedin for now, but we can move if you are interested. Don't hesiste to contact us if you need more details, pictures or want to see it !